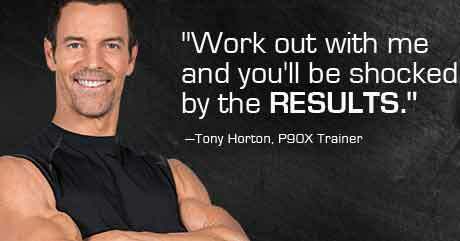 P90X is a home workout system created by the American fitness trainer, Tony Horton, and marketed by Beachbody LLC. P90X stands for Power 90 Extreme workout and it is an extreme workout. Buying P90X is like buying a boot camp in a box. In fact it’s so tough it comes with a pre-workout fitness test and anyone who cannot pass the test is advised not to commence the program. This is an excellent idea, but most customers will be unaware that the product may not be suitable for them until they have already received the merchandise because the manufacturer’s website fails to mention a pre-workout test is included in the box. Customers are also given access to an online resource that provides “peer support” and guidance from fitness experts. The 12 workout DVDs instruct in the differ forms of exercise used in the system. Cardio X (a cardiovascular, fat burning workout). Although it is possible to complete most of the workouts without the need for equipment, some of the exercises require access to a set of dumbbells and a resistance band. A P90X Pull Up Bar is also recommended, but it seems probable that any pull up bar would be sufficient. 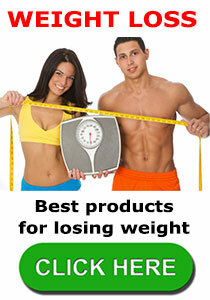 To get the most from the system some major lifestyle changes are required. P90X users need to eat a sensible and nutritious diet and will have to workout for at least an hour each day, six or seven days a week. Bearing in mind the time it will take new system users to watch the DVDs and familiarize themselves with the exercises and the correct techniques the initial time required each day could be much longer. According to Beachbody the reason P90X is such an effective system is partly due to the constantly changing routines, which cause muscle confusion. Causing muscle confusion is known to be an effective way of ensuring constant physical gains. The body is quick to adapt to new situations. This is why people who workout using the same routine week, after week, after week often reach plateaus and find they are no longer moving forward. Constantly changing workout routines prevents this from happening and maximizes results. Customer feedback is plentiful, extremely good, and usually rather lengthy. P90X only appears to be available to buy online. Customers based in the US and Canada can order P90X from beachbody.com. Customers based in the UK can order from beachbody.co.uk and can expect to pay £99 plus shipping, which is split into three monthly payments. P90X is also available from Amazon for a single payment of £105.95. All purchases are protected by a 90 day money back guarantee, but customers who return P90X will be eligible for all shipping costs.